Le Chalumeau is a complex of sunny condos situated in the peaceful Domaine de la Forêt neighbourhood. 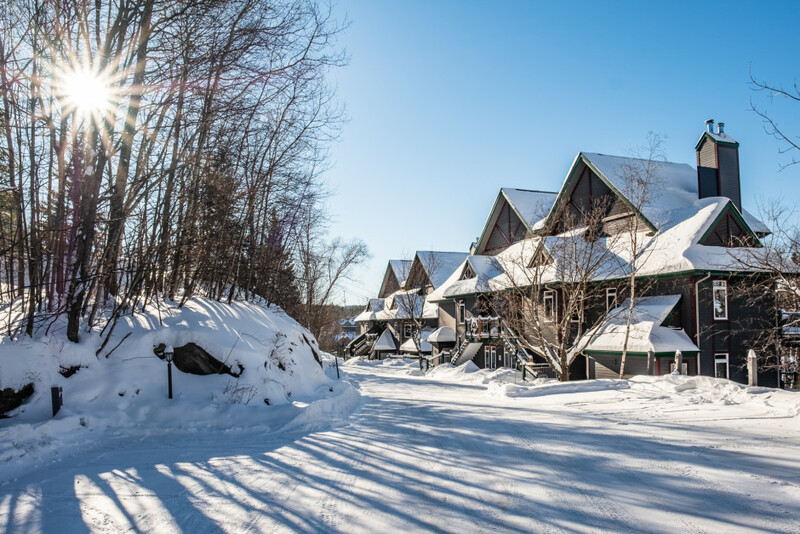 This choice location provides direct access to the ski trails and offers a magnificent view of Tremblant Lake and the surrounding mountains. A mere six-minute walk away is the heart of the pedestrian village, where you’ll find a great selection of restaurants, shops and nighttime entertainment. Pamper the family in this lovely, spacious two-bedroom, two-bathroom unit. It’s carefully furnished and offers fantastic views and optimal comfort. 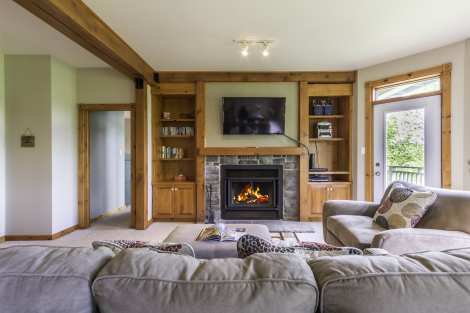 We especially love the large master suite, the wood-burning fireplace, the view and the roominess. The kitchen is well appointed and has a heated floor.Technology-wise, the unit comes equipped with a flat-screen TV, DVD player,radio/sound system and wireless access to high-speed internet. A practical locker is provided for guests to store their sports equipment. This bright,peaceful condo is located steps away from the village’s festive atmosphere.You’ll simply love it.